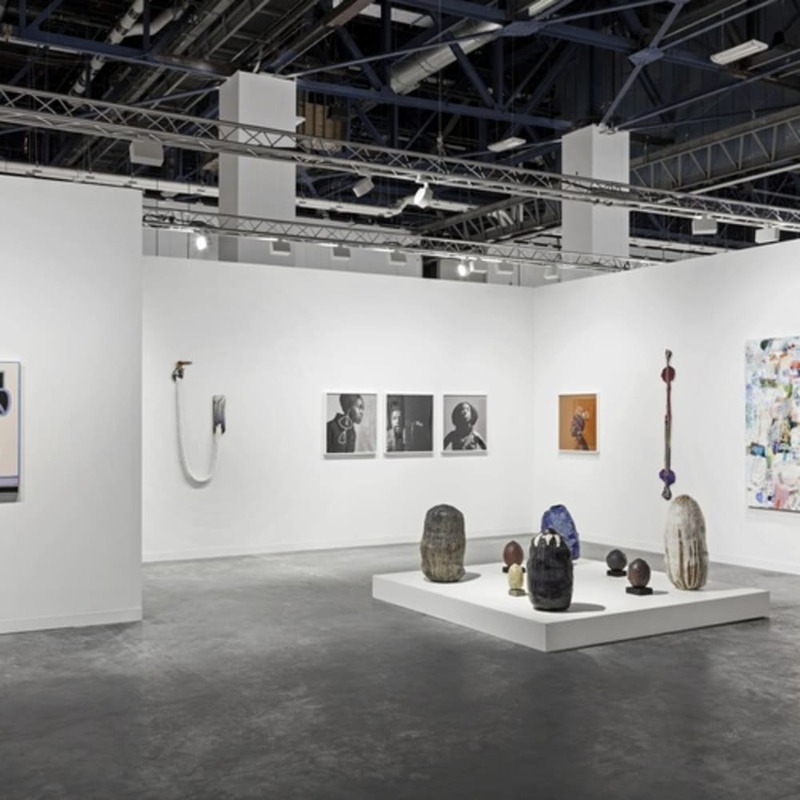 At 2017 Art Basel Miami Beach, Cherry and Martin will present the work of six artists of different backgrounds and different generations: Kwame BRATHWAITE, Brian BRESS, Holly COULIS, Katy COWAN, Tomory DODGE and Adam SILVERMAN. A selection of photographs by Kwame Brathwaite from the early 60s will hang side-by-side with new works by Brian Bress, Holly Coulis, Katy Cowan, Tomory Dodge and Adam Silverman. The current moment in art is one of real introspection. Two decades into the 21st century, focus is being directed towards the power of artworks produced by women and people of color. At the same time, mediums once on the edge of the contemporary art conversation - ceramics, photography, textiles and video - have moved from margin to center. Add in the new social dynamics wrought by media and technology, and it becomes clear that there are changes occurring with regard to how we define art objects and what makes them successful. This makes sense given the current political, social and environmental climate, and opens up exciting new possibilities for human creativity and expression. In the late 1950s and early 60s, Kwame BRATHWAITE (b. 1938, lives New York) was one of the first people to promote “Black is Beautiful,” arguably one of the most important American ideas of the second half of the 20th century. Brathwaite’s work can be understood as the output of a photographer; at the same time, his work should be seen as the output of an astute media theorist dealing with the new possibilities of a new mass-media landscape. A shrewd visual thinker, Brathwaite recognized that in order to change people’s thinking, he had to change what they saw. Brathwaite used his connections in art, fashion and music to disseminate the Black is Beautiful message; by the late 60s, it was a household concept, the succinctness of which was later appropriated by other movements like Gay is Good. Cherry and Martin has been working with Brathwaite to organize his archive for the past two years. This is the first presentation of his work at an art fair. A major monograph is forthcoming in 2018. Brian BRESS (b. 1974, Norfolk, VA) will present new wall-mounted video works. Bress's work reminds us that the relational nature of art objects - and screens - are both virtual and physical. In contemporary life, we not only do we watch screens - we also touch them, hold them close, and allow them to inhabit — if not define — our personal space and how it works. The sense in which Bress’s ‘screens’ act like paintings, or sculptures, allows his art to push forward not only our sense of what art objects are and what they can do, but also what modern technologies are doing to us. Holly COULIS (b. 1968, lives Athens, GA) works in a traditional medium - painting - in a traditional genre - still life. Still life painting as we know it today sprung up in Europe in the late 16th century. Then as now, the still life genre allows the painter to use a depiction of an object in a defined space - an apple sitting on a table for example - as a means by which to examine the visual conventions of painting. Moreover, the intense focus of the artist on a select presentation of objects allows those objects to have a greater metaphorical meaning. Coulis’s work harkens back to an overlooked lineage in the modernist project, the Southern California painter Helen Lundeberg, for example, and the nature of individual vision in painting. Katy COWAN (b. 1982, lives Milwaukee, WI) uses an array of media - ceramics, bronze casting, traditional rope making, fabric dying - to make works that push the materiality of the art object. Cowan’s rope works are designed to hang on the wall. They utilize the sense of the painterly frame, the grid, as the basis point for composition. Cowan’s stretched fabric works call upon the language of textiles, a medium in which Cowan was trained, to point to the presence of herself as a topic in her own works. Adam SILVERMAN (b. 1963, lives Los Angeles) is an artist with a long-standing interest in architecture and dance. His ceramic work begins on the potter’s wheel, in an age-old process of speed, pressure and gravity - a kind of math in motion. The result is elemental geometric forms that combine technical and formal precision with chance. Silverman fires and re-fires his work many times, building up their beautiful and richly tactile glazed surfaces. His resulting works - organized singly or in groups - reflect Silverman’s commitment to the complexities of sculpture, and place his work firmly in both the present and in the 10,000 year old history of people making art out of clay.